The Up County forms a crescent in the north and west of Montgomery County bordered by the Potomac River, Howard County and Frederick Counties. With the Agricultural Reserve forever preserving Montgomery County's rural roots, time slows down here providing life in the country that's less than thirty miles from Washington D.C. Discover traditional colonial homes, some townhome communities, farmettes and horse properties. 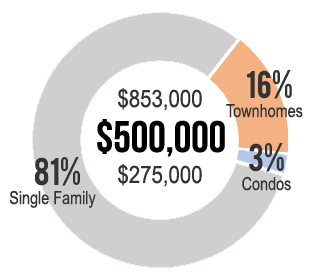 The median sale price for a home in Up County is around $393,000 making it a moderately affordable area in Montgomery County. When searching for homes in Up County, include Poolesville zip 20837, the Ag Reserve around Poolesville (zips 20838, 20839 and 20842), Damascus zip 20872 and Laytonsville zip 20882. 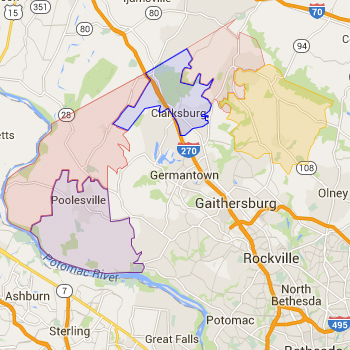 Most homes in Up County are assigned to the Poolesville, Damascus and Gaithersburg school clusters. Always verify a home's school assignment directly with MCPS.